Simply scroll down or click here to list your business in our Caribbean scuba diving directory, and get found quickly and easily by people who are looking for your services. First 3 months are totally FREE! See who is already listed! Potential scuba divers are searching for you on the internet, but can they find you? Many visitors arrive here every day searching for Caribbean scuba diving centers, dive resorts or any related Caribbean dive service on their favorite Caribbean island. In fact, our scuba diving directory page ranks consistently as one of the top 3 most visited pages on our website. We also get email requests almost every day from visitors looking for a Caribbean scuba diving centers, dive resorts or any related Caribbean dive service in the Caribbean region, but they couldn't find one listed in our dive directory. Can people find you on the internet? There are literally millions of web sites that get little to no traffic, simply because their owners don't understand what it takes to get the kind of high rankings that bring traffic naturally. We do! Would you like to be featured on our easy-to-find website, so that you can attract even more new divers? Now you can have a customized, full page directory listing for your Caribbean scuba diving company on our highly trafficked website, year-round and world-wide. And first 3 months are totally FREE! Get your listing now! That's right, our profile pages are absolutely free for first 3 months. What's the catch? There's no catch. Just extend your listing after the initial free 3 month period for $99 USD per year. All we ask is that if you think our site would be helpful to your visitors, that you link back to our directory page, to help more scuba divers find a local dive related service on their favorite island. What makes our Caribbean scuba diving directory different than all the others out there? You get a full web page that you can customize however you like. Add as much info as you want, even a photo or your logo! If you don't yet have your own website, your listing will give you an instant web presence on a highly trafficked, niche website. If you're already online, your listing will act as a billboard directing people to your business's website. Your dive customers can visit your listing and leave a comment or testimonial about their experience with you. This helps future visitors feel more confident contacting you because they know you already have satisfied customers. Some of the Caribbean scuba diving services listed in our directory appear below. 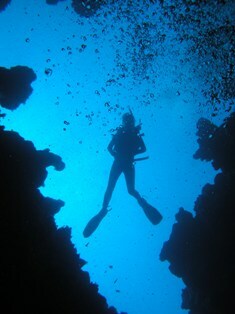 You can also search the directory to find a specific Caribbean scuba diving service. Links to the directory are located at the top and bottom of this page.